Let’s take a little break from politics and the frenzy and fear that seems to be “spiraling” around and talk about spiral veggies, comfort food, pasta. I was researching articles, saw this and then watched a blurb on the noon news and to me that was a sign. Something POSITIVE!! I am reminded that WE are the change. There is a demand for healthier food alternatives that are organic and non-GMO. WE drive this bus. Our MONEY drives the response to our demands. 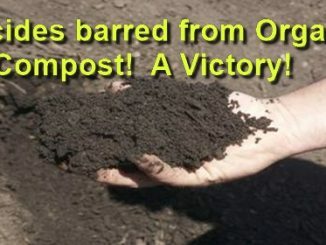 Sure, we could hope that organic would become the norm and that glyphosate would disappear into the woodwork but morals and ethics clearly have little influence, but money DOES. Pasta is one of the world’s favorite foods – and that couldn’t be more true than in North America. A recent global survey by the Oxfam charity has revealed that pasta is more prized around the globe than meat, rice and even pizza. Pasta comes in a variety of shapes and sizes, but most everyone has enjoyed a bowl of Fettucine Alfredo. Americans alone account for 24 percent of the world’s pasta consumption. Unsurprisingly, the pasta industry loves to sing the praises of pasta, and it is a great vehicle for a variety of different sauces and dressings. However, there are drawbacks to this internationally-favored food. Pasta is a high-calorie food, and refined, white pasta is essentially devoid of nutrients and fiber. While it is true that choosing whole grain foods over processed, refined grains is a step up, this belief fails to shine a light on the fact that not all grains are healthful, nor can they replace an adequate intake of fruits and vegetables. Most Americans simply do not eat enough vegetables. The current dietary guidelines suggest that we should be aiming to consume at least two to three cups of vegetables a day. Surveys suggest that 87 percent of adults in the United States do not meet the guidelines for vegetable intake. It’s pretty abysmal, and the declining health of our country is what we have to show for it. One of the biggest trends in healthy eating right now is the spiralized vegetable. Spiralizing vegetables essentially means taking a vegetable and turning it into a pasta-shaped creation. There are expensive gadgets that can be purchased to spiralize, or you can simply use a peeler to create fine strands of your favorite veggie. Spiralized vegetables offer many health advantages over conventional pasta. For instance, spiralized veggies are inherently gluten-free, making them a great choice for people who cannot have gluten-containing foods. Another primary advantage is the surplus of nutrients. Your mileage will vary, depending on which vegetable you choose, but in general, choosing to consume vegetables over pasta made from grains is going to give you a wider array of vitamins, minerals and phytonutrients such as antioxidants. Spiralized veggies are also going to contain more fiber than conventional pasta, and are lower in calories. Spiralized veggies can fit into just about any diet – though people who are on restricted diets should speak with their doctor or dietitian before making any changes. The only drawback to spiralizing vegetables is that it can be more time consuming to prepare a meal than it would be with conventional pasta – that is, until now. 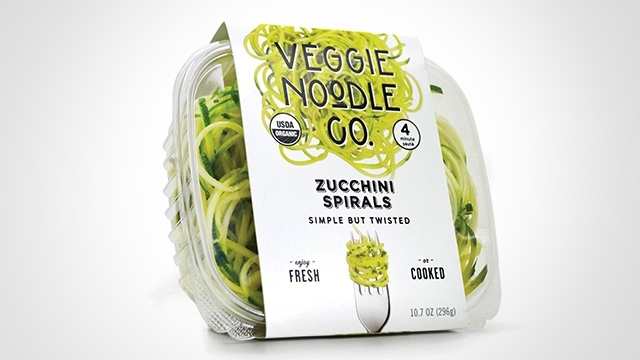 Veggie Noodle Co. has recently launched their own line of spiralized pastas featuring a number of different vegetables. Their spirals can be eaten raw, or cooked in any manner of your choosing. Their veggie spirals can be used in salads, soups, side dishes or main courses. Best of all, they are ready to go, right out of the box, which is a huge time-saver when you’re trying to cook dinner after a long day at work. These USDA-certified organic noodles cook in just 3 to 4 minutes – half the time you’d need to cook conventional pasta to al dente. Milder vegetables, like zucchini, are a great start – especially for that special someone in your household who turns their nose up at every vegetable that isn’t in the form of tomato sauce or ketchup – but there are many flavorful varieties to choose from. Spiralized vegetables make it easy to boost your intake of vegetables every day, and your overall nutrient and fiber intake, too. Choosing spiralized veggies over conventional pasta is also a great way to keep your calorie consumption under control, without feeling like you are giving up something you love. Pasta has become a dietary mainstay for many people, and these pasta-shaped veggies are a great alternative.